In today’s knowledge economy, content is king. Businesses need to show their expertise, share their insight and turn website visitors into website regulars. Great content can do that and more, even helping to convert prospects. The challenge is that it takes time and skill to create content. Content to engage, delight & persuade. Not all content is created equal. We’re expert at helping clients uncover the knowledge, stories and messages untapped within their business. Then we turn it into content that attracts and engages an audience. From in-depth educational blogs to shorter news stories, we can produce content for any style or subject, adapted to your needs and audience. It’s all written with journalistic skill by experienced copywriters, with as much or as little involvement as you desire. We'll write your content in a way that makes it well-optimised for search without sacrificing quality or sophistication. Regular, fresh web content should play a part in any business’s content and search engine marketing strategy, aiding organic SEO. We’ll help you build an audience and nurture it with content that explains, informs, delights and rewards. 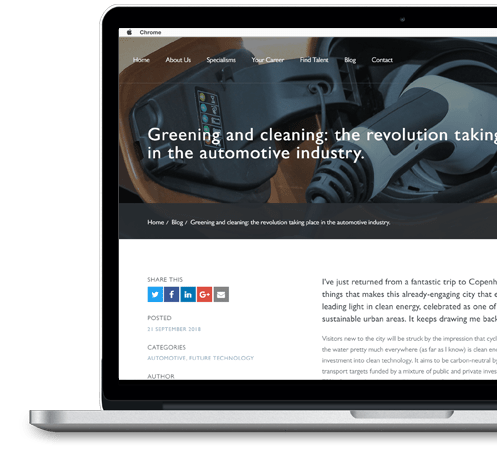 The quality of our content is well above industry average and we have the skill to craft sophisticated articles or editorials for a specialist audience. Engaging, relevant content is “sticky”, meaning it attracts users to your site, keeps them there for longer than they would normally stay, and encourages them to visit other pages rather than leave the site. Our method means there’s always a chance your content will rank highly in Google or pique people’s interest and be widely shared, gaining exponential exposure. We begin with an in-depth discovery phase where we learn about your business, industry, customers and marketing goals. This knowledge helps us to determine the right tone of voice for your content so we can produce high-quality articles that speak to your audience. Initially, we will work with you to produce a calendar for the year containing important business dates such as events you are hosting or attending. 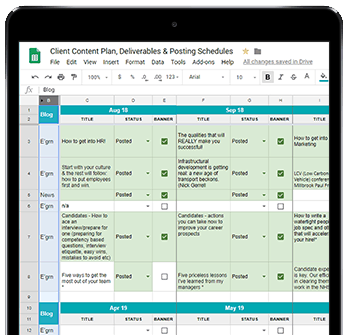 We use a standard content-capture template that ensures we get everything we need to begin planning your content. Depending on the nature of your business, further planning may range from agreeing approximate themes to an article-by-article plan agreed monthly. Our content schedules evolve and are flexible so that we can adapt to your changing activities, news and trending topics. In our experience, the best content comes from collaboration. We’ll be in regular contact with you to discuss content ideas and, where required, gather information and opinions. While your input is useful for evergreen content, we’re expert at extracting your expertise with minimum drain on your precious time. We often require a only brief chat to get what we need from you. And you’ll be able to review your content before we publish it. Educational or editorial articles that stay relevant (evergreen) or tap into trending subjects. Staff involvement: bulleted outline or telephone call. Some aspect of opinion. Either the news, or your news! Your own original synopses of the news, or short updates about what’s happening in your business. Little-to-no staff involvement depending on choice of content. What’s the best length for a blog? However long it takes to make your point. We could talk for a long time about optimum blog length – it’s a pretty hot topic amongst marketers. But length is contextual: it’s about what’s right for the subject, platform and audience. So we’ll decide on the optimum length when we write your blog. We love writing content, but we’re equally happy to talk about it.